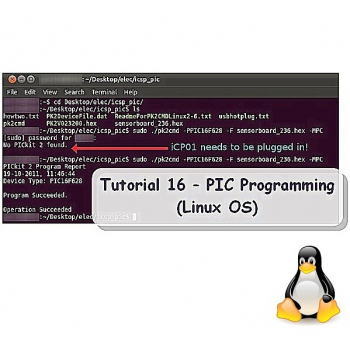 This tutorial shows how to use iCP01 and iCP02 under Linux OS. 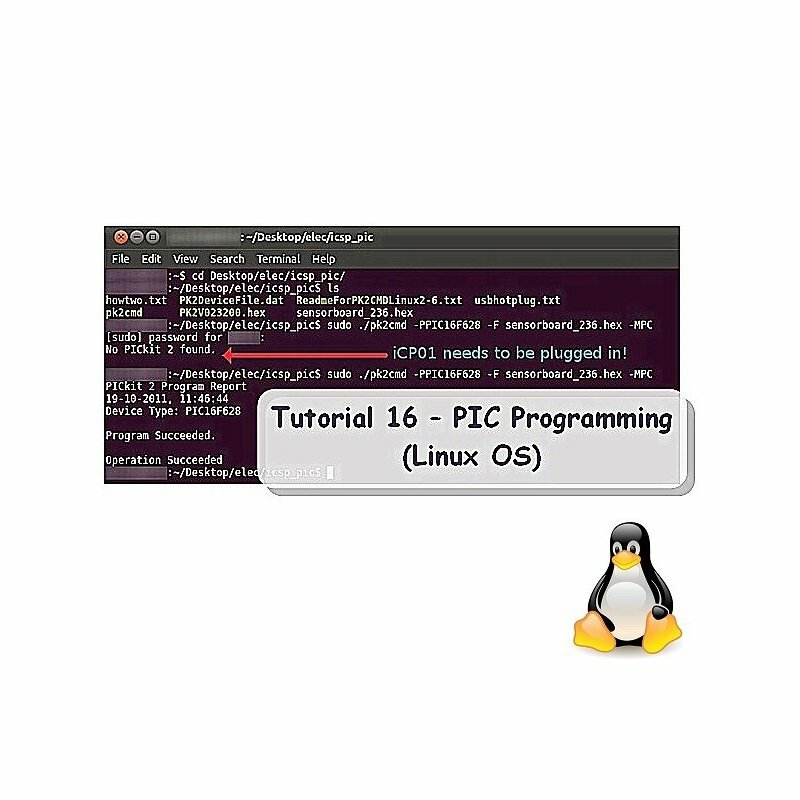 This tutorial shows how to use iCP01 and iCP02 under Linux OS with Terminal or GUI form.﻿ Support is NOT provided ﻿for this Linux OS programming. 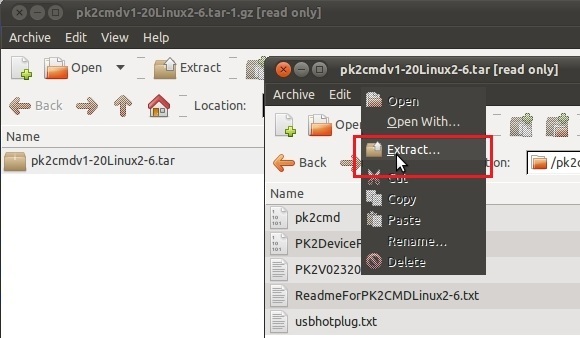 Then extract into a directory of your choice, make sure the permissions are set to 'executable' so that the application can run otherwise you might get an error. For more details and command, please read 'ReadmeForPK2CMDLinux2-6.txt'. 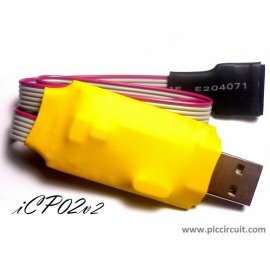 NOTE: You must have super user or 'SUDO' for the pk2cmd software to access the protected hardware. 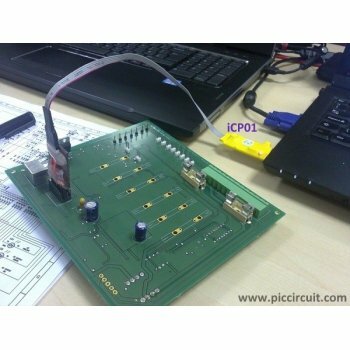 PICkit2 set to a PIC16F628﻿. File sensorboard_236.hex﻿ is loaded. 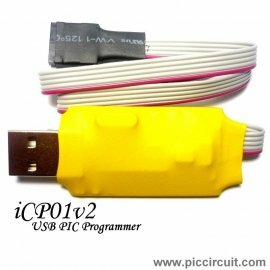 The device's program memory and configuration memory﻿ are programmed. 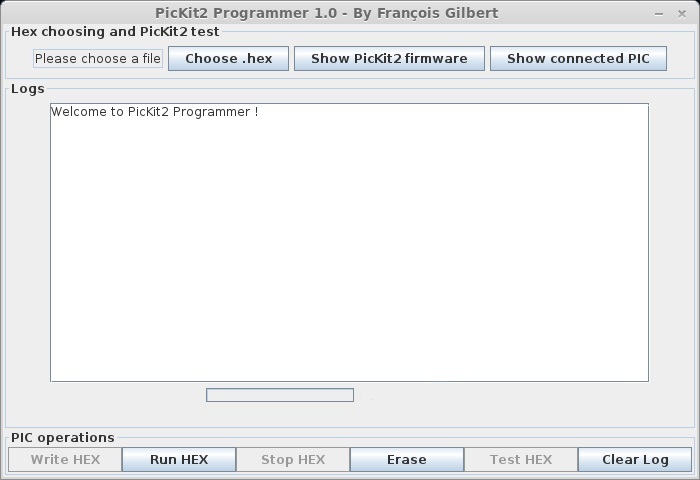 You need to downlaod the PicKit2-Programmer-GUI-1.2-Linux﻿﻿﻿﻿.zip﻿﻿ ﻿and copy pk2cmd and PK2DeviceFile.dat files into /bin folder, even if you have manually installed pk2cmd before. Enter your root password and you're done.